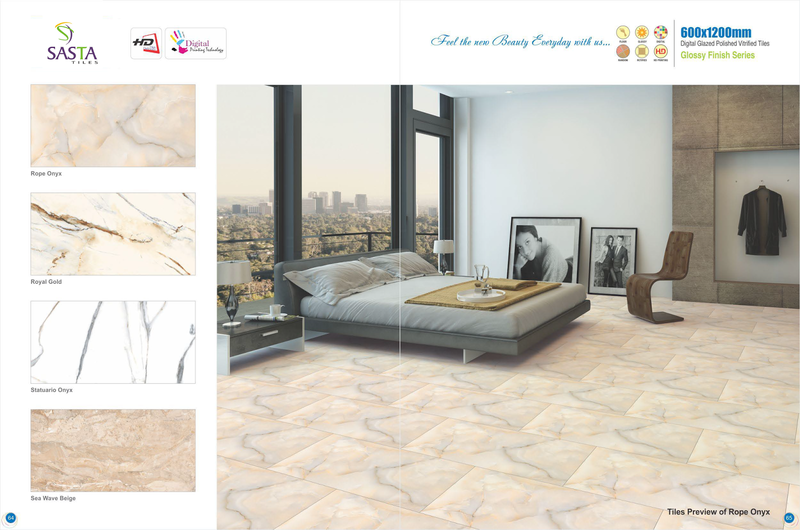 Tile Design Name :- Botticino Bianco , Brisk Botticino , Calacatta Grey tile , Diana Brown , Diana Gray Emperador Brown , Eramosa Tobacco , Forever Chocco , Galaxy Gray , Graco Gray , Graco Yellow , Imperial Bianco ,Imperial Chocco , Imperial Dark , Imperial White. This All Design Glossy Finish. 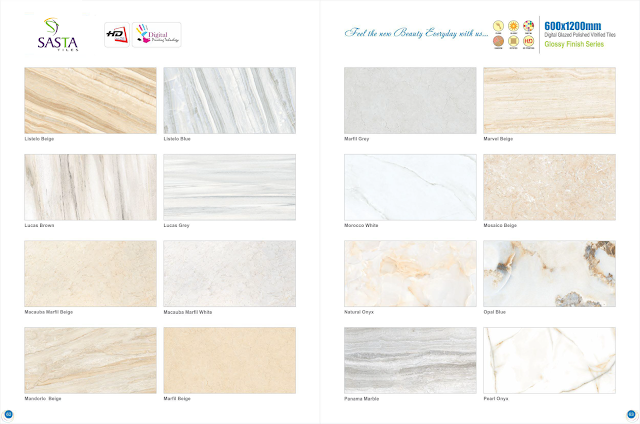 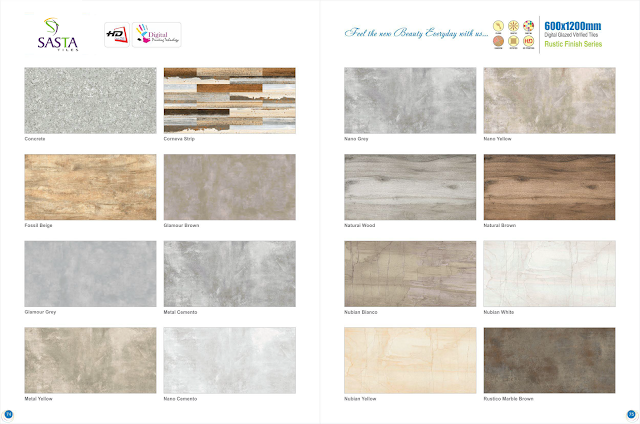 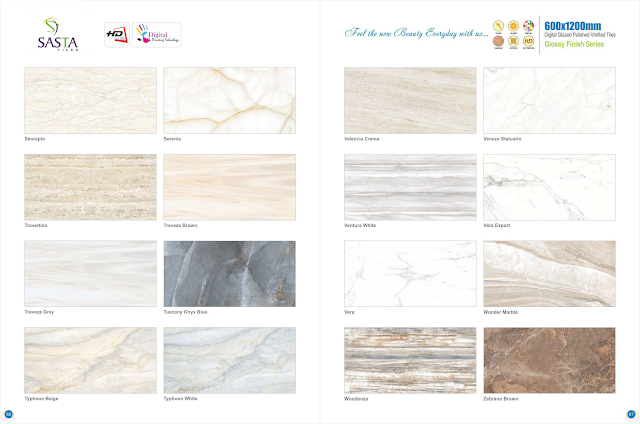 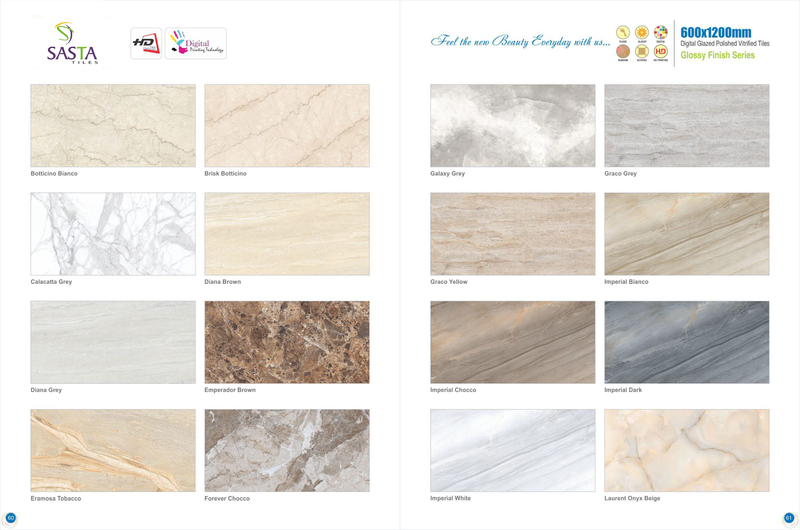 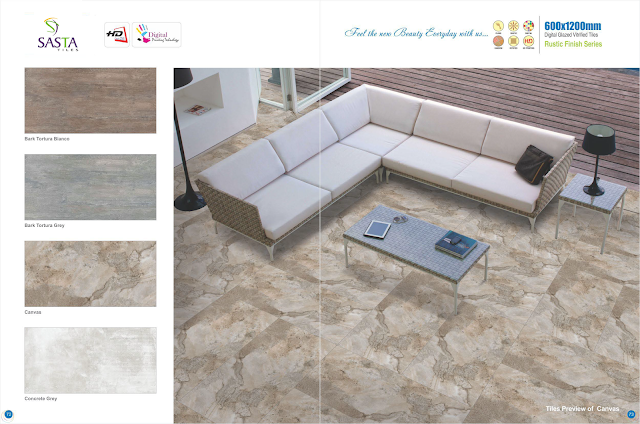 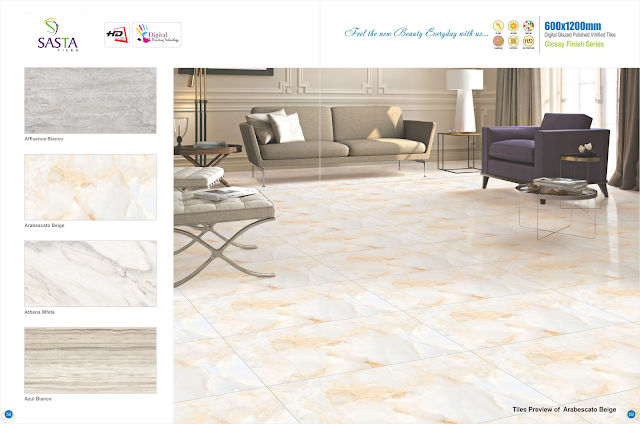 Tile Design Name :- Senraplo , Serenia , Travertino , Traveze Brown , Traveze Gray , Tuscany Onyx Blue, Typhoon Beige , Typhoon White , Valencia Crema , Veneza Statuario , Ventura White , Verso Satuario, Verso , Wonder Marble , Woodenza , Zebrano Brown . 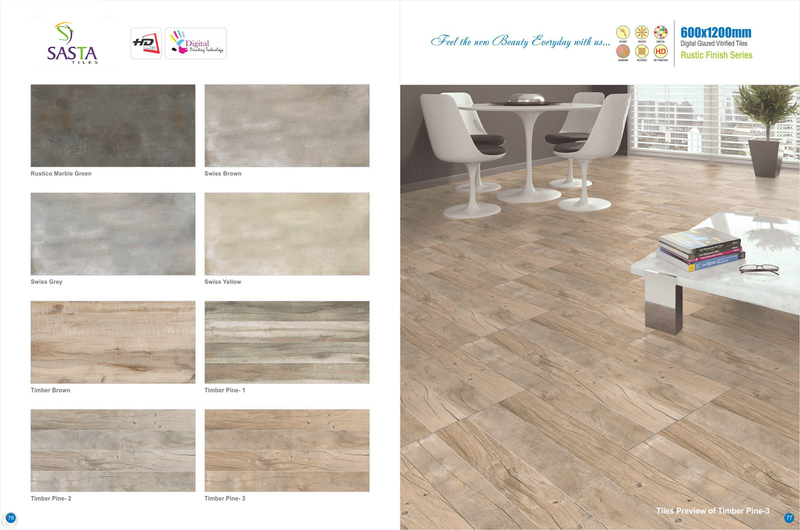 Tile Design Name :- Concrete , Corneva Strip , Fossil Beige , Glamour Brown , Glamour Grey , Metal Cemento , Metal Yellow , Nano Cemento , Nano Gray , Nano Yellow , Natural Wood Tiles , Natural Brown , Nubian Blanco , Nubian White , Pini Black. 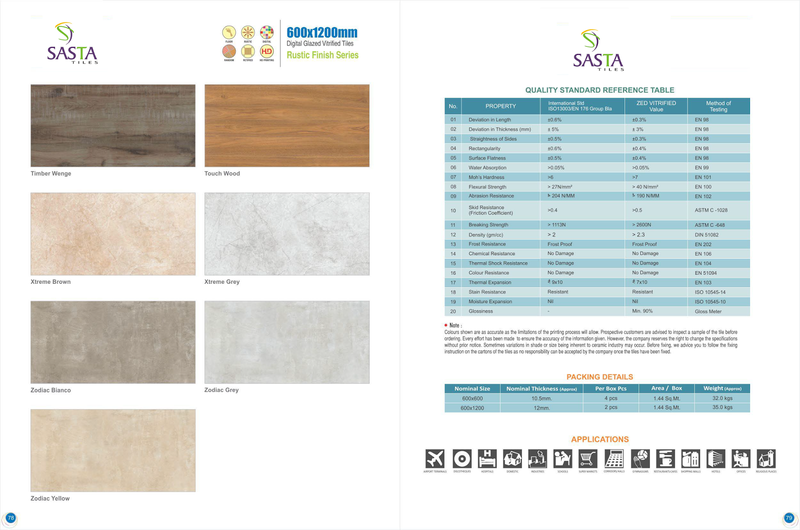 All Design are Rustic Finish. Tile Design Name :- Rustico Marble Brown , Rustico Marble Green , Swiss Brown , Swiss Greay ,Swiss Yellow , Timber Brown , Timber Pine. 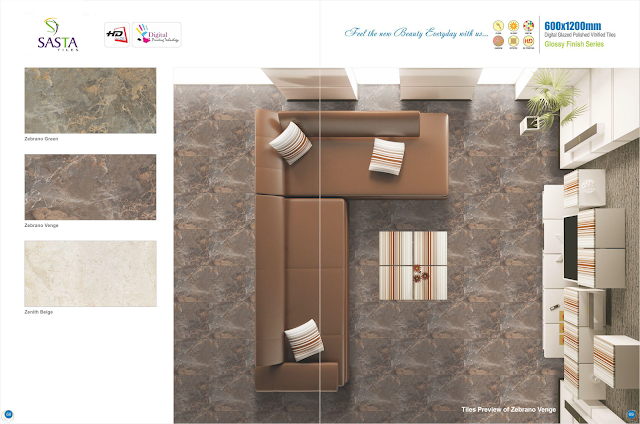 Area /Box : 1.44 Sq.Mt.